John Barrowman has said he has “no information” beyond what’s already been reported reccently, that the Fox Network had commissioned a script from Russell T. Davies and that he would almost certainly play Captain Jack in the US version. Barrowman also doesn't want his character's sexuality to be changed for the US version of Torchwood as according to Entertainment Weekly, FOX has plans to make Captain Jack straight. 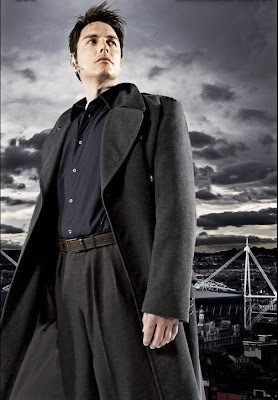 Barrowman added that any effort by the US TV network to change Captain Jack's sexual orientation would need to involve a "big discussion" between creator Russell T Davies and his producer Julie Gardner.